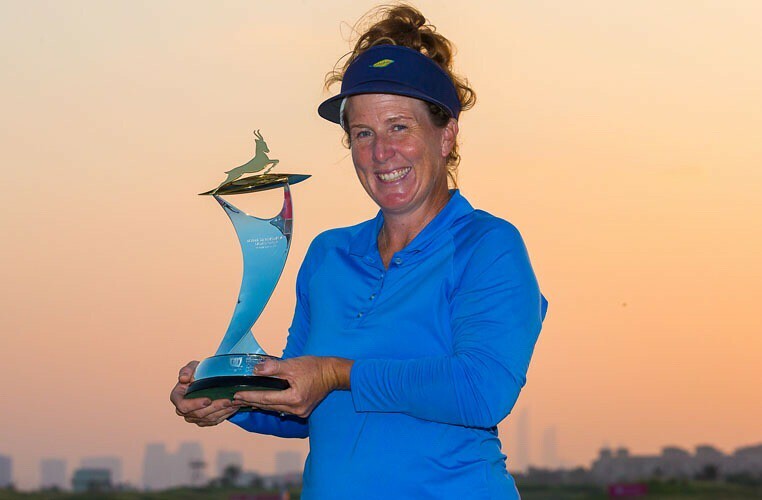 A little less than 12 months ago, Beth Allen made golf history with a stunning victory at the Fatima Bint Mubarak Ladies Open, which was the first women’s professional golf event ever to be played in Abu Dha. The American equalled the course record with a scorching final round of eight-under-par 64 at Saadiyat Beach Golf Club to finish with a 72-hole total of 21-under-par, before going on to seal the LET Order of Merit. As Allen prepares for her second title defence inside a month, she will take confidence from her impressive form at the Lacoste Ladies Open de France, where she tied for ninth position and she is excited to be back on the Ladies European Tour. A star-studded field boasting the world’s best female golfers will compete in the second Fatima Bint Mubarak Ladies Open, on November 1-4, among them, the recently appointed 2019 European Solheim Cup captain Catriona Matthew, making her debut appearance. She will be joined by fellow 2017 teammates Georgia Hall, Melissa Reid, Florentyna Parker and Emily Kristine Pedersen, as well as PING Junior Solheim Cup players Julia Engström and Amanda Linnér, who have received invitations to play.